Far back 2016, I heard about steemit in a WhatsApp group, but I thought I was another form of ponzi scheme which I already involved myself. I lost a lot of my hard earn money to Ponzi Scheme in 2016, the likes of MMM, Giversforum, NNN, gethelpworldwide etc. This makes me dislike any other online scheme that have been introduced to me since then. Luckily for me, I saw an advert on whatsapp about steemit from @deeclown precisely December 2017. 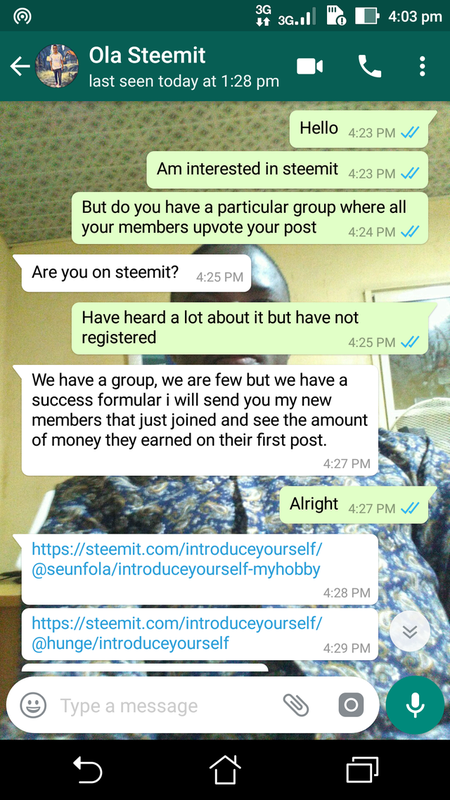 And I immediately chat him up to know more about it because have already heard about steemit opportunities before but been skeptical to joined due to the fact that have been scammed times without number. 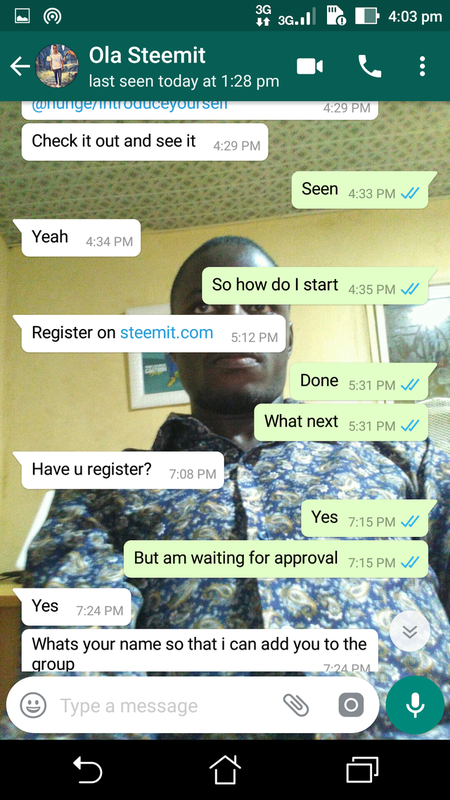 @deeclown showed me everything I need to know about steemit and how profitable and educative steemit is, moreover meeting new friends on the platform. Below is the screenshots of our chats. January 4th, 2018. I post my first article which is my introduction post. Here is the link to the post https://steemit.com/introduceyourself/@juliusjamex/introduce-yourself. My post earning was $6.65 and I was happy because the price of SBD was around $8 and above. My first experience was so exciting and fun because I also have chance to chat with foreigners on discord and they put me through.